Dr. Lori Glaze is the Director of NASA's Science Mission Directorate’s Planetary Science Division. Planetary Science is focused on space flight missions and scientific research that address fundamental questions of solar system formation and evolution, including understanding planetary environments that can (or could have in the past) support life. Prior to headquarters, Dr. Glaze served as the chief of the Planetary Geology, Geophysics and Geochemistry Laboratory at Goddard Space Flight Center in Greenbelt, Maryland, and as the Deputy Director of Goddard’s Solar System Exploration Division. Her research interests include physical processes in terrestrial and planetary volcanology, atmospheric transport and diffusion processes, and geologic mass movements. Her work focuses on data analysis and theoretical modeling of surface processes on all the terrestrial solar system bodies, particularly the Earth, Venus, Mars, Moon, and Io. She develops statistical, analytical, and data management methods in support of physical process modeling and develops applications of diverse sets of terrestrial and planetary remote sensing data. Dr. Glaze was a member of the Inner Planets Panel during the most recent Planetary Science Decadal Survey, and has had a role on the Executive Committee of NASA's Venus Exploration Analysis Group (VEXAG) for several years, serving as the group's Chair from 2013 - 2017. Dr. Glaze was a member of the Planetary Science Subcommittee from 2011 to 2013. 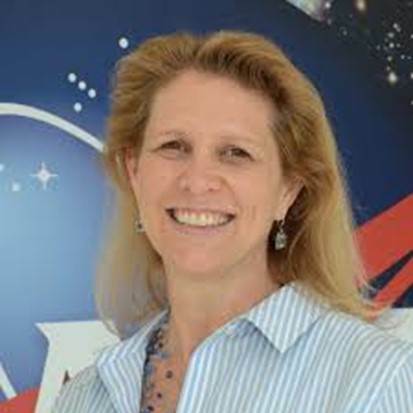 She has been involved with many NASA-sponsored Venus mission concept formulation studies, including as a member of the Venus Flagship Science and Technology Definition Team (2009), as Science Champion for the Venus Mobile Explorer (2010), and Co-Science Champion for the Venus Intrepid Tessera Lander (2010). Until her move to headquarters, she also was the Principal Investigator of the Deep Atmosphere Investigation of Noble gases, Chemistry, and Imaging (DAVINCI). Dr. Glaze was born in Texas. She graduated from the University of Texas, Arlington with a BA and MS in Physics. She received a PhD in Environmental Science from Lancaster University in the United Kingdom. She has also previously worked at the Jet Propulsion Laboratory and at Proxemy Research as Vice President and Senior Research Scientist.